Over the years, Fergusson College has won laurels in sports and cultural activities besides always being in the forefront of academic achievements. Our college has a tradition of providing an all-round development for students, by making available facilities for sports and for cultural activities. The college has very good infrastructural facilities for sports and related extra-curricular activities, which have been developed and have thrived over the years. There have been additions to and renovations of these facilities from time to time, for indoor and outdoor games and also for the traditional Indian games. One large ground, referred to as the main ground (ground no.1) and a relatively smaller ground (ground no. 2) are situated on the western side of the campus at the base of the Fergusson College hill. 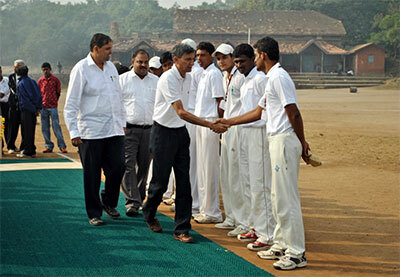 Cricket is played on the main ground and has a matting wicket. 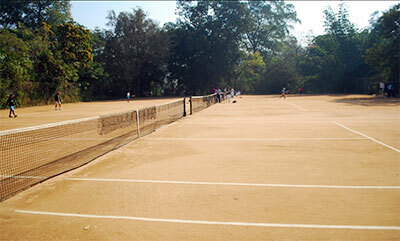 The ground has excellence natural drainage, which enables matches to be played even during the rainy season. These games are also played on the main ground without encroaching on the cricket pitch as the ground is large enough to accommodate all these games. This game is also played on the main ground. Two standard size basketball courts to the east of the main ground have been recently re-surfaced with asphalt under expert supervision. It is planned to fix floodlights so that tournaments can be conducted in the late evenings also. 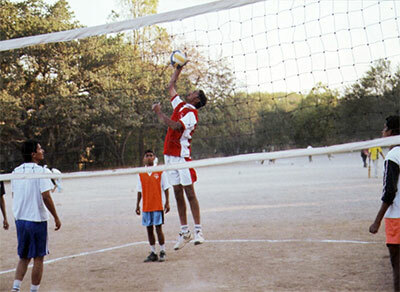 There are two volleyball courts on ground no 2, one each for girls and boys. Well-qualified coaches impart training to the students and others. Facilities include changing rooms and toilets for girls and boys. Handball is played on ground no 2. A running track of 400 mts. is provided on the main ground. It is used for practice, and training for various intercollegiate competitions. There are two kabbadi courts for girls and boys on ground no 2. This court is also on ground no 2. Mallakhamb is practiced on ground no.2 with the installation of Mallakhamb and Rope whenever needed. Two badminton halls are available for the students. One is situated in the ladies hostel exclusively for girls and the other is in a hall near the college canteen, which is open to all students. Both these halls have been renovated recently. Three tables are provided for the students. 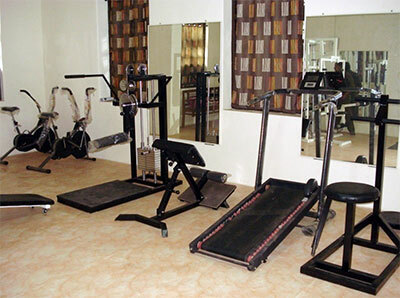 A boxing ring for training and practice is provided in the gymnasium. Mats are provided for wrestling and judo in the gymnasium building. Boards for these games are provided to students in the badminton hall. 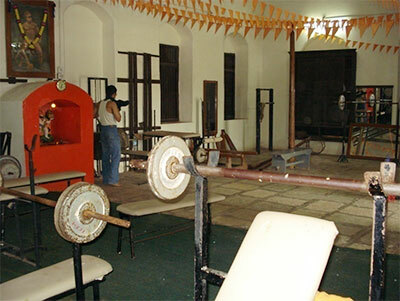 Yoga is practiced in the hall adjacent to the gymnasium. 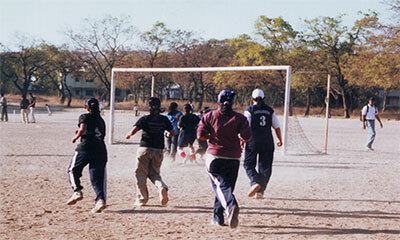 The gymkhana also provides funds and facilities for cultural activities of the students. 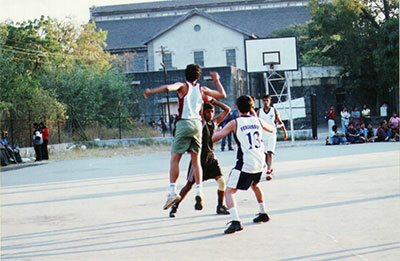 The college also makes available its grounds and sports facilities for tournaments conducted by the University, Zilla Parishad and NGOs / social organizations. Fergusson College has produced two famous Olympians in Principal N.D. Nagarwala and Nazleen Madraswala, who represented India in hockey. Professor D.B.Deodhar, Cricket Maharshi was one of the greatest cricketers of our country. Miss Shital Mahajan made History in Sky Diving. She is the only Lady who jumped from the Sky (22000 ft) free fall jump on the North & South Pole. MA, M. Com. M. Ed(Phy.Edu), S.E.T. M.A., M. Lib. & I. Sc., DIS.